Founded in 1977, the Insulating Glass Certification Council (IGCC) is a nonprofit corporation whose mission is to encourage maintenance of the highest standards of excellence in the manufacturing of insulating glass. The IGCC was established in response to the demand from insulating glass unit manufacturers, consumers and others who were concerned with upgrading the quality and performance of the insulated glass products purchased for use in commercial and residential construction. The IGCC certification requirements are approved through periodic inspections by the administrator and testing by independent laboratories approved by the IGCC. Through the certification program, IGCC works with insulated glass manufacturers to assure that their products meet the established standards of quality and product performance. The Safety Glazing Certification Council (SGCC) was established in 1971 and is a non-profit corporation that provides the certification of safety glazing materials. The SGCC includes safety glass manufacturers and other parties concerned with public safety. Manufacturers of safety glazing products submit their products for testing in an SGCC-approved independent testing facility. Products that comply with all of the specifications are awarded an SGCC certification number, which identifies the product, the manufacturer, and its plant-specific origin. An SGCC certification allows engineers, manufacturers and consumers the peace of mind knowing that their product has been evaluated to meet the accepted standards. The International Code Council has been dedicated to developing model codes and standards used in the design, build and compliance process to construct safe, sustainable, affordable and resilient structures since 1994. The International Codes®, or I-Codes®, published by the ICC, are a single set of comprehensive, coordinated building safety and fire prevention codes to provide minimum safeguards for people at home, at school and in the workplace. The ICC’s mission is to provide the highest quality codes, standards, products and services for all concerned with the safety and performance of the build environment while protecting the health, safety and welfare of the people. The National Fenestration Rating Council (NFRC) is an independent non-profit organization created by the window, door and skylight industry to establish a voluntary national energy performance rating and labeling system for fenestration products. 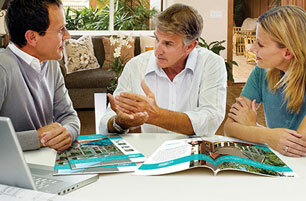 The NFRC is compiled of architects, manufacturers, suppliers, builders, designers, utilities and government agencies. The National Fenestration Rating Council provides ratings and information to help the consumer measure and compare between energy-efficient windows, doors and skylights. The NFRC label includes the U-Factor, Solar Heat Gain Coefficient (SHG), Visible Transmittance and Air Leakage. As of April 22, 2010, federal law requires that contractors and/or firms performing renovation, repair, and painting projects that disturb lead-based paint in homes, child care facilities, and pre-schools build before 1978 must be certified by the EPA. They also must use certified renovators who are trained by EPA-approved training providers to follow specific lead-safe work practices to prevent lead contamination. Qualified Remodeler Magazine® has been publishing the Top 500 list, the most prestigious ranking in the remodeling industry, since 1978. With numerous entries from all 50 states, companies are selected based on stringent analysis by the Qualified Remodeler staff and must meet a set of criteria including installed remodeling dollar volume, total years in the remodeling business, industry association membership, industry certification, industry awards and community service. The QR Top 500 is only third-party verified financial performance analysis in the industry. 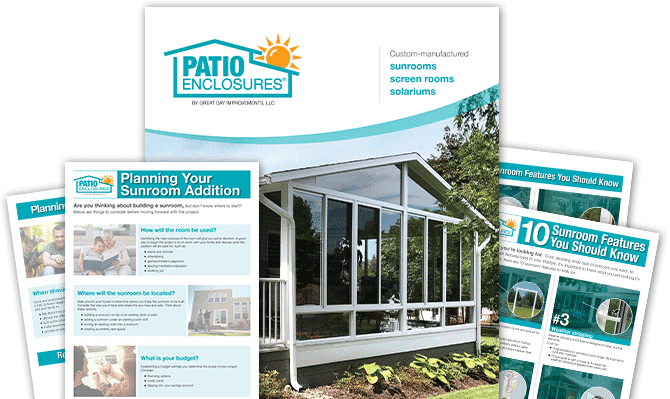 Great Day Improvements, manufacturers of Patio Enclosures® brand sunrooms, currently ranks #21. Qualified Remodeler Magazine® has announced their Top 200 Home Improvement Pros (HIP) in the remodeling industry. This prestigious list represents nearly $4.3 billion in revenue on over 700,000 jobs. Revenue in the remodeling industry increased by 8% from the previous year. 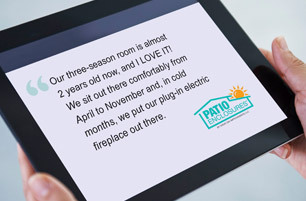 Great Day Improvements, manufacturers of Patio Enclosures® brand sunrooms, currently ranks #19. 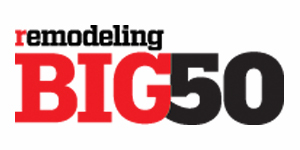 REMODELING magazine has selected Great Day Improvements, LLC to be inducted to it's Big50. Each year since 1986, the REMODELING Big50 inducts 50 remodeling companies that have set exceptionally high standards for professionalism and integrity through exemplary business practices, craftsmanship, and impact in their community or the industry at large. 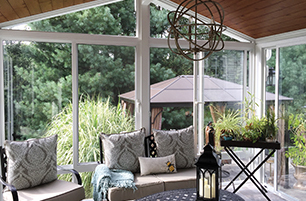 The National Sunroom Association (NSA) is a professional organization dedicated to the responsible advancement of the manufacturing and construction of safe, energy efficient and environmentally conscious sunrooms, patio rooms and solariums. The NSA includes skilled manufacturers, design professionals, and material suppliers and installers. 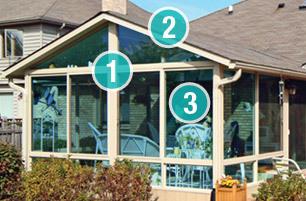 The two main goals of the National Sunroom Association is to educate and promote to the consumer, remodeler and building official the quality of life benefits associated with sunrooms, patio rooms and solariums, and to insure that our products are designed and manufactured to the highest quality standards, and are safety compliant, energy efficient and environmentally friendly.